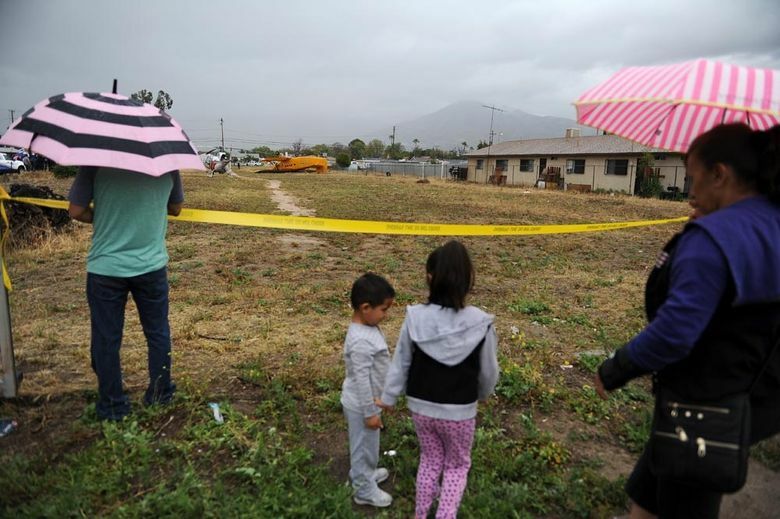 HIGHLAND, Calif. (AP) — A small Soviet-made plane has crashed in Southern California, but the two people aboard escaped with minor injuries. 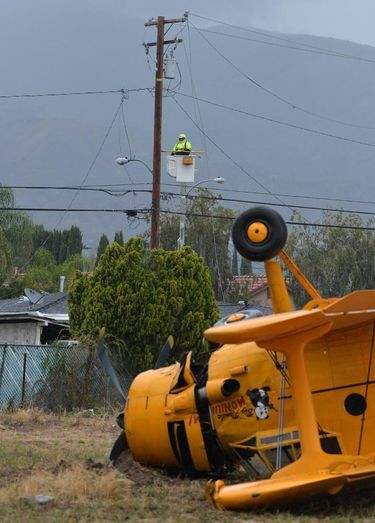 Mike Mohler of the California Department of Forestry and Fire Protection says the pilot and a passenger got out of the plane on their own after crashing in Highland, about 70 miles east of Los Angeles. 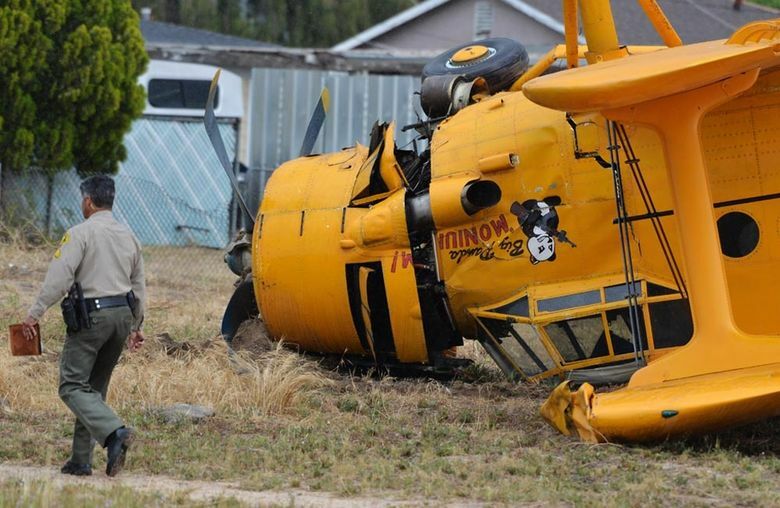 Photos show the mustard-colored plane lying in a grassy area near several homes. 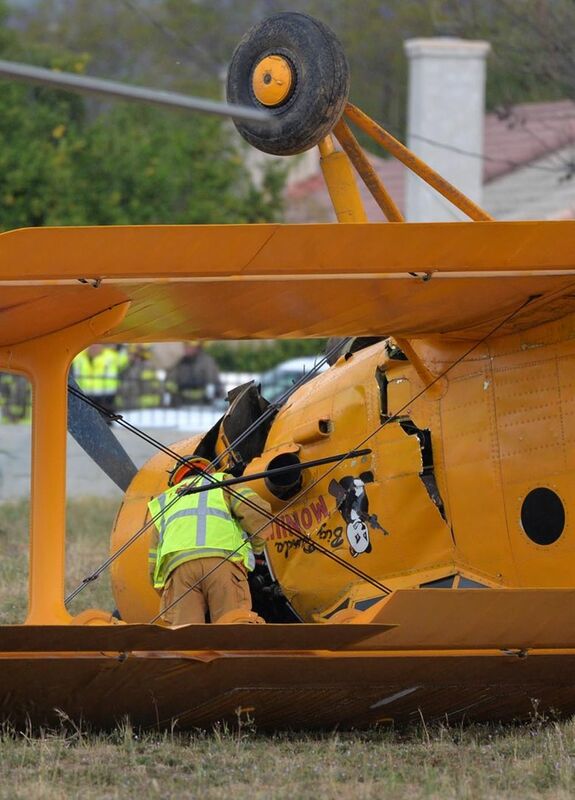 The Federal Aviation Administration says the single-engine Antonov AN-2 experienced engine failure as it was approaching San Bernardino International Airport on Friday. FAA records show the plane is registered to the American Airpower Heritage Flying Museum in Dallas. A spokeswoman for the museum had no further information about the crash.